A mother and teenager are murdered in their home. A little girl disappears from a deserted beach. An advertising executive goes missing on a trip to Seattle. Can these things be connected? Jack Whalen is an ex-LAPD cop, who left under a cloud and it's his wife who is missing. He sets out to find her and suddenly it seems everything in his life is not quite as he thought it was. Something very strange is happening in Seattle, some nameless evil is reaching out from the past and Jack needs to work what’s going on in order to save his wife. This is a complicated book, running multiple plot strands, with a myriad of characters, but Marshall does a good job of juggling them all and keeping all his plates spinning. It's taut, full of underlying tension and, in places, brutal. 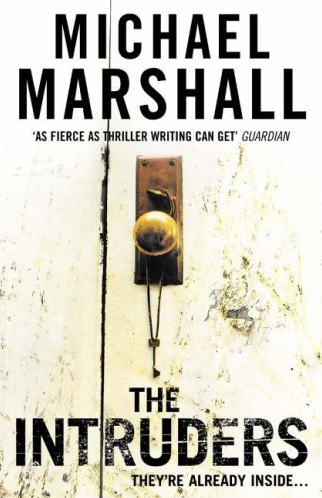 I don't want to reveal the main premise of the book, as to do so would spoil it for the reader, but Marshall unfolds this premise slowly, bit by bit, drawing you in until it seems quite plausible. It is a tad on the supernatural side for my taste, but I suspect many readers will love that aspect of what is undoubtedly a well-written and cleverly crafted book. It is gripping and fast paced, which will come as no surprise to anyone who has, like me, read and enjoyed Marshall's earlier 'Straw Men' trilogy. Personally I prefer my thrillers a bit more grounded in reality, but that's just me. This is still a powerful and impressive book.